A good drama must be made by a competent director and writer. Inspiration in making drama can come from anywhere. No exception from the comic story that has been famous in the community. The story of the comic, then processed again by drama writers to fit the needs of the drama viewers. As a result, sometimes there is little difference between the story in the comic with the story in drama. 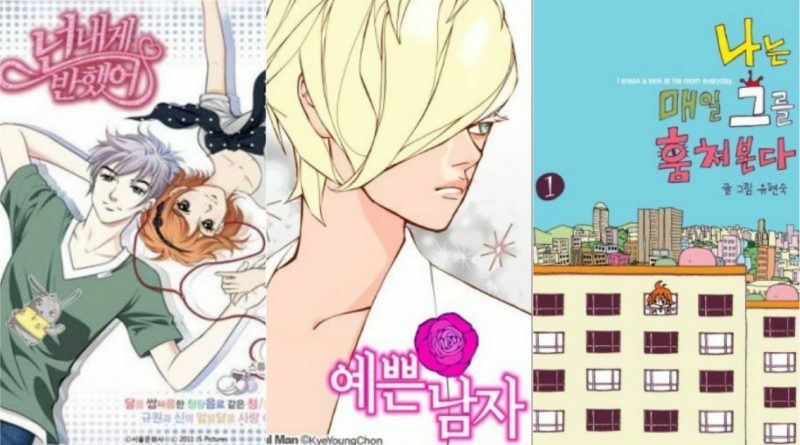 Here are dramas that are lifted from comics. 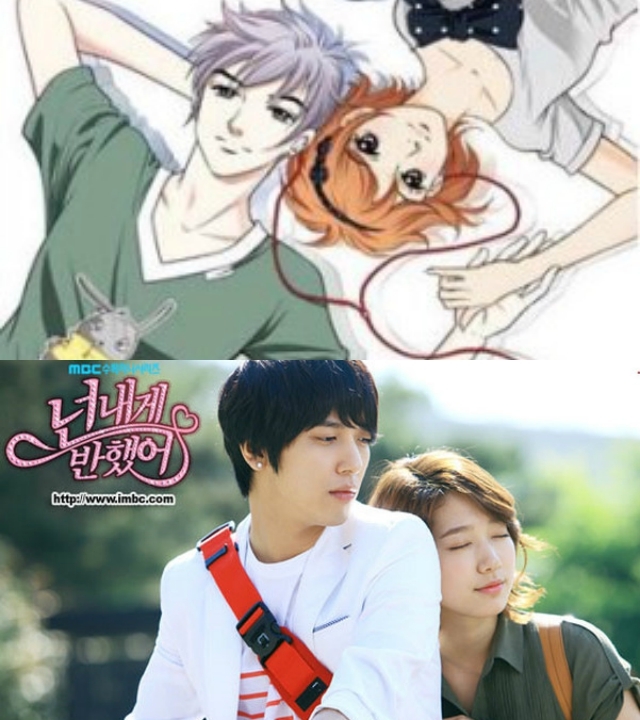 MBC drama ‘Heartstrings’ starring Lee Kyu Won (Park Shin Hye), Lee Shin (Jung Yong Hwa), Kim Suk Hyun (Song Chang Eui), Jung Yun Soo (So E Hyun), and others. This drama is adapted from a comic with the same title. tells the story of a young woman who has become a member of the drama “Festival”. Kyu-Won is a smart girl and a highly skilled gayageum player. She is a student of Korean traditional music department. Kyu Won also comes from the family of one of the best pansori singers in the world. Shin is a cool and refined young man, while he is a highly skilled guitarist. She is a student majoring in applied music. They come from different family backgrounds and quarrel, but then start liking each other. 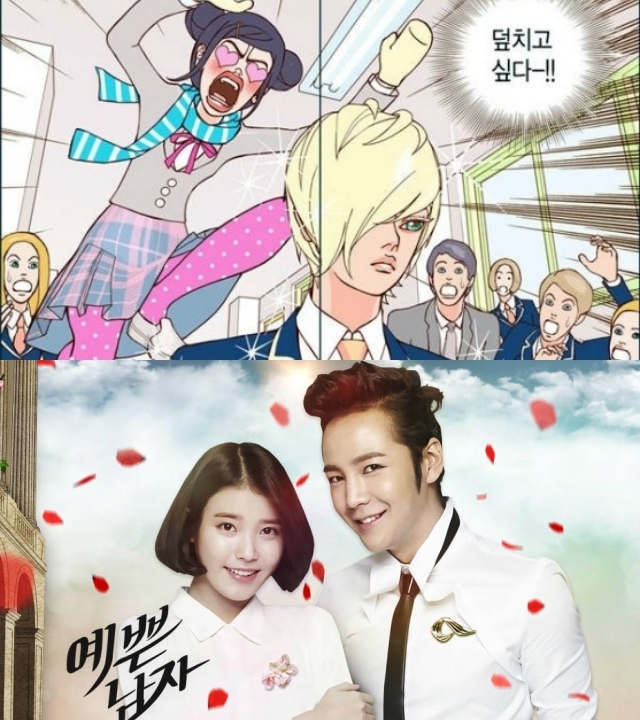 KBS drama ‘Pretty Boy’ starred Dokgo Ma Te (Jang Geun Suk), Kim Bo Tong (IU), David Choi (Lee Jang Woo), Hong Yoo Ra (Han Chae Young), and others. the drama was adapted from a comic with the same title and published on November 27, 2009. This drama is about a man who has a canti Dokgo Ma Tae face. He used his beautiful face to earn money by conquering the hearts of women. Until one day, Ma Te met with Hong Yooo Ra, a mentor-in-law from a wealthy family. He was swept away in the ragged seduction and handsome face of Dokgo Ma Te. Until finally Yoo Ra challenged Ma Te to conquer 10 different women. On the other hand, there is a strange woman and cupu who harbored feelings of love for Ma Te. The woman is Kim Bo Tong who comes from a poor family. Both love stories grow in this drama even though they have many differences. tvN drama ‘Flower Boy Next Door’ is played by Ko Dok Mi (Park Shin Hye), Enrique Keum (Yoon Si Yoon), Han Tae Jooon (Kim Jun San) Oh Jin Rok (Kim Ji Hoon), Cha Do Whee (Park Soo Jin), and others. 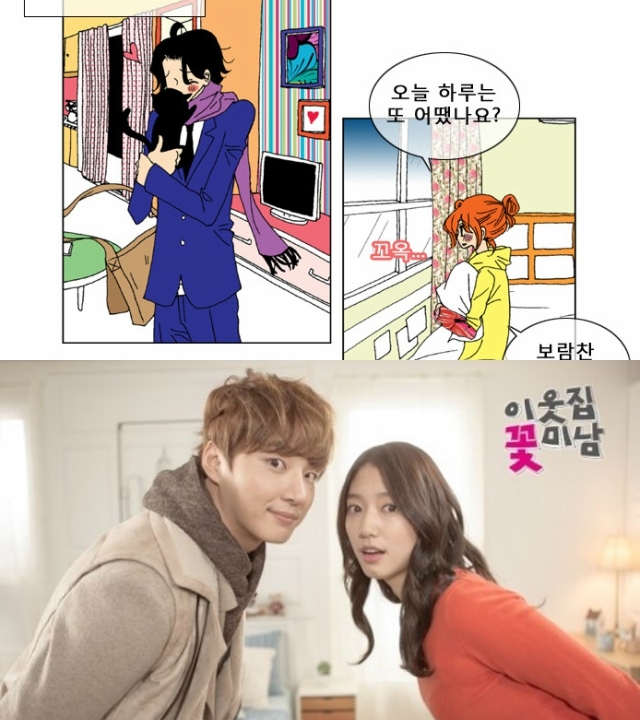 the drama is adapted from the comic ‘I Peek At Him Every Day’ published from June 21, 2011 to July 17, 2011. This drama tells of a lonely girl named Ko Dok Mi who always peeps at his handsome neighbor. He was so surprised to see the handsome man that Tae Joon who lived in front of his apartment. But one day, this action is known by the neighbor’s brother Enrique Keum and make it a misunderstanding. Although initially had bersiteru, but slow year two became closer and make neighbor Dok Mi the other is Oh Jin Rak became jealous. Because of the proximity of both, able to pull Dok Mi to get out of the apartment he lived in.